André et Michèle is an eclectic collaboration between Andrew O’Malley and singer/songwriter, Michael Glenwright. 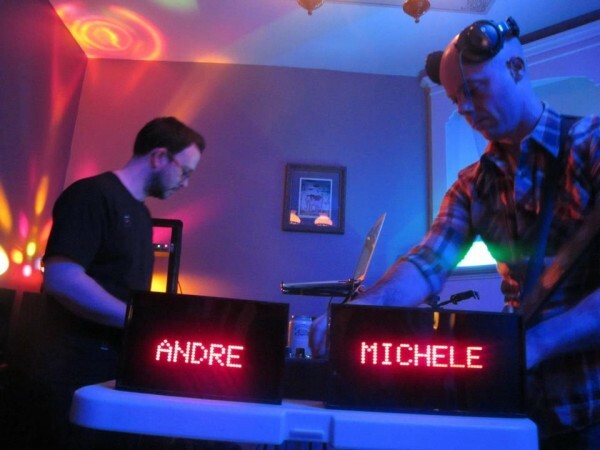 Combining an array of instruments, from retro synth sounds to booty-shaking club beats to soaring melodic guitars, Andre et Michele weave together real-time improvised soundscapes using live performance looping wizardry. Whatever the vibe — chill lounging or dance floor storming — Andre et Michele provide the soundtrack for good times. Tracks and performance excerpts can be previewed below via the Soundcloud player, while full jams are hosted on Mixcloud.